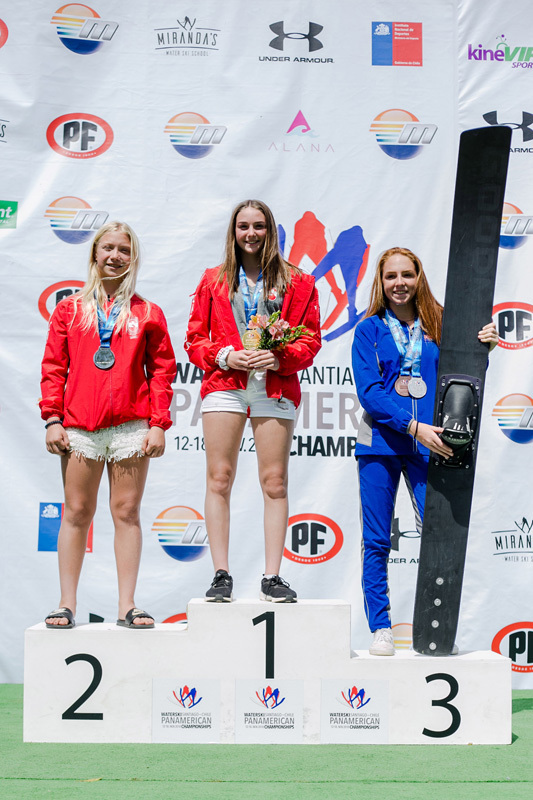 A local water skier is returning to Chestermere with a silver medal from the IWWF Pan American Water Ski Championships in jump, and a gold medal overall. Twelve-year-old Shae O’Brien, 12, traveled to Santiago, Chile to represent Canada at the Nov. 12 to Nov. 18 championships. “I got a new personal best every single jump, I was really happy with that, it was so much fun, jump is my favourite,” O’Brien said. O’Brien credits her success to her constant training during the summer, and her training in Texas two weeks prior to the tournament in Chile. While in Texas, O’Brien was on the water all day, every day, she said. Competing in an international tournament was a new adventure for O’Brien as she has only ever competed in small tournaments before. “There were a lot of the people, the most people I’ve ever had in my category,” O’Brien said. With more athletes competing and families watching, O’Brien couldn’t help but feel nervous, which ultimately got the best of her during her first slalom performance. “I was super nervous and because of that I didn’t ski every well, for the next two I was pretty calm,” O’Brien said. For the trick and jump categories O’Brien made it a priority to ensure she wasn’t too nervous, made sure she was in the right head space, and tried not to think about how the other athletes were doing. “I wish that I didn’t focus on the skiers before me, I was too focused on the end goal and not what I was doing right then,” O’Brien said. Although O’Brien’s slalom run didn’t go the way she had hoped, she broke her Alberta record in jump, and beat the under 14 record in jump by jumping 26.3 metres. “I couldn’t believe it. I didn’t think I would medal in my first international tournament,” O’Brien said. O’Brien’s favourite moment during the tournament was looking at the score board after she completed her third jump in the final round. “I saw my score and just a sigh of relief came over me, because 26 metres was my ultimate goal for this season and I finally reached it. I was on cloud nine,” O’Brien said. O’Brien’s mother, Blais O’Brien said watching her daughter refocus after her nerves got the best of her and be able to beat her personal best made her extremely proud. Shae’s ability to refocus, show resilience, put her first score behind her, and support her team was a really great thing for Blais to see, she said. “Her teammates were a great group of girls, and their parents were a lot of fun, it was a great team building experience. We’re looking forward to a lot of future team events with them.” Blais said. Going into the IWWF Pan American Water Ski Championships Shae and Blais had zero expectations of how Shae would do in the whole scope of her first international tournament. However, for Blais, finding out that her daughter was so competitive, and was able to beat her personal best was very exciting. Throughout the week, the mother and daughter duo were able to explore and enjoy the culture of Chile after Shae’s part of the tournament. Now Shae is getting ready to begin her season of winter ski racing and plans on remaining close friends with the other athletes on the under 14 Water Ski Canada Team. 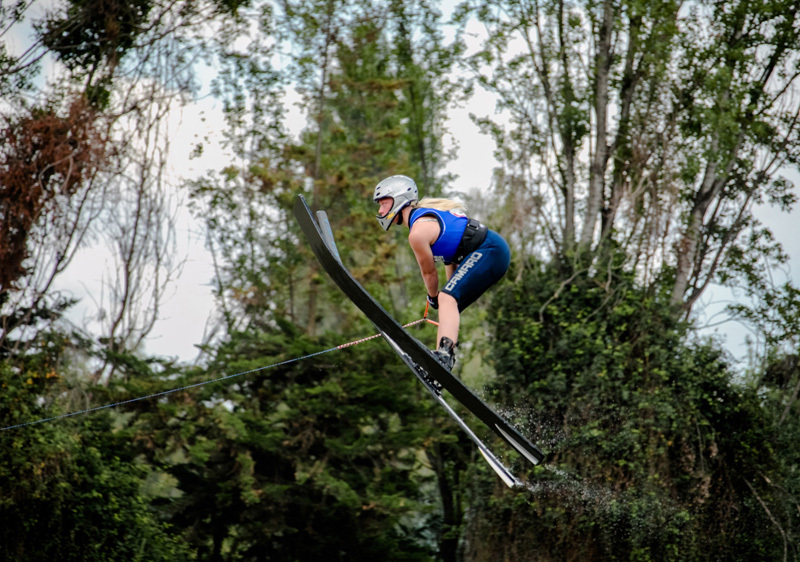 In May, O’Brien will fly to Texas to begin spring training for the upcoming water ski season.